Ever wondered what genetic predispositions you might have and would like to have them confirmed? Now you can with the trusted and reliable DNA Testing Melbourne and analysis services of the Melbourne Natural Medicine Clinic. We are proud to be one of the few clinics that can offer affordable DNA Testing Melbourne, allowing you to study your personal DNA and set you on a life plan to manage your individual health. Please note this test does not determine paternity and cannot be used for immigration purposes. When we look at your DNA analysis test, we will be able to offer a personalised approach to your health. Our aim is to work with your genetic makeup and provide specific nutrients to switch the good ones on and the bad ones off. This may reduce the risk of many of the most common health issues that affect us as we age. 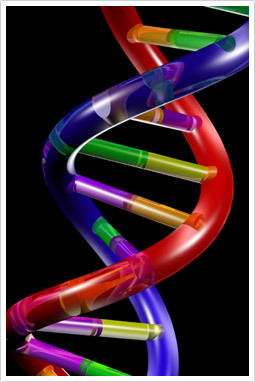 What will a DNA analysis test do for me? Upon getting the results of your DNA testing, your practitioner will recommend a specific nutritional program for you. You will be able to formulate and apply specific preventative long term strategies to improve your health and wellness well into the future. DNA testing will enable you to manage your weight better and better understand your individual dietary requirements. You will be able to find out just how well your body is able to detoxify and learn whether you are a fast or slow meta boliser. For affordable DNA testing in Melbourne, make an appointment with Melbourne Natural Medicine Clinic today. Call us on (03) 9686 2566 or contact us online.